EU EXPERIMENT IN OPEN BORDERS, FREE MOVEMENT AND CULTURAL DIVERSITY A DISASTER……. – The Tundra Tabloids……. EU EXPERIMENT IN OPEN BORDERS, FREE MOVEMENT AND CULTURAL DIVERSITY A DISASTER……. 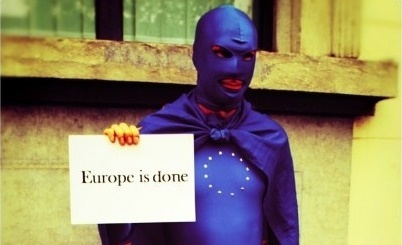 EU designers of mass societal destruction…….statists and neo-statists alike. THE European Union’s vast experiment in open borders, free movement and cultural diversity has been tested to destruction. As the influx The very fabric of European civilisation is disintegrating as the influx continues. A sense of accelerating chaos now hangs over the continent. 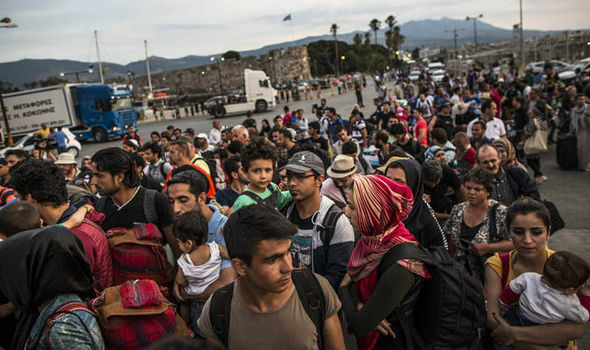 As the influx across the Eastern Mediterranean grows to more than 3,000 new arrivals every day, on top of all the other waves of mass immigration, the very fabric of European civilisation is disintegrating. The traditional bonds of solidarity and shared identity are collapsing. In their place there are fully justified fears about terrorism, extremism, alien customs and savage misogyny. Although Britain is not part of the EU core we are going through the same social revolution as the rest of Europe. The annual rate of immigration to our country officially stands at 630,000 but even that astonishing figure is probably an underestimate given that no fewer than 917,000 National Insurance numbers were dished out to foreigners last year. Previous Post Previous Post ONE MONTH OF JEW HATRED 2016…….